Working with a team of like-minded optometrists looking forward to make the world a better place. 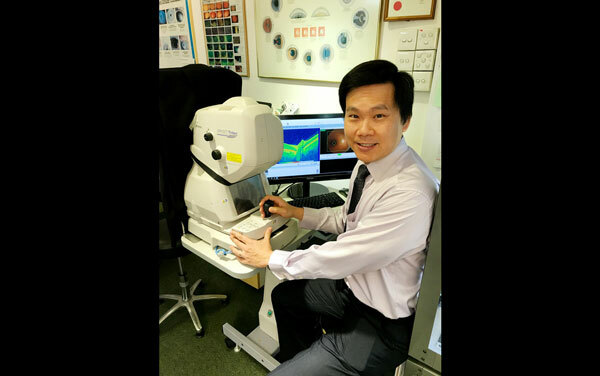 Dr. Koh Liang Hwee, currently serving as a President of the Singapore Optometric Association, speaks about his roles and responsibilities towards the country! 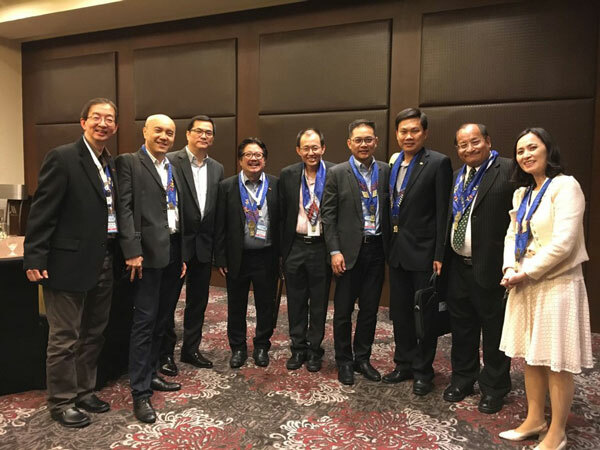 VisionPlus (VP): Dr. Koh Liang Hwee, we understand that you are currently the President of the Singapore Optical Association (SOA). Tell us about your experience in the association. Koh Liang Hwee (KLH): I first joined SOA in 2004 under the leadership of Mr. Lee Kai Hung. At that time, there was no legislation of optometry and SOA needed more new people to make the association more active. Legislation was our most important agenda, back when we started and the team spent a lot of effort uniting the profession as well as lobbying for the legislation of optometry. I was assisting Mr. David Chong after Mr Lee stepped down, as a vice President of SOA. It was also during Mr. David Chong’s presidency that SOA helped to start another diploma program at Ngee Ann polytechnic and Opticianry course in ITE. I took over from Mr. David Chong in 2011 as President of SOA. Our objective for SOA was to expand the role of optometrists in Singapore, so that we can serve a highly myopic and aging population that is also fighting against the long term effects of diabetes. VP: Your role as the President of the Association? How exciting and challenging is it? KLH: My roles involve meeting the Minister of Health (MOH) on a regular basis. This helps me highlight the issues that SOA is working towards resolving. It is part of the lobbying that SOA has been tirelessly doing to expand the role of optometrists in Singapore’s primary eye care; set up local level based university degree programs; support the need for continuing professional education, among many other initiatives. These initiatives are not just for Singapore but also for the ASEAN region. The challenges are mostly concerning the fact that the roles of optometrists are not very well understood by the public and even by other health care professionals (like the ophthalmologists). Many see optometrists as refractionists and technicians that operate diagnostic instruments. There is still a lot of effort being put in to convince the relevant parties that the training that optometrists receive, actually enables them to do much more than just selling visual aids. 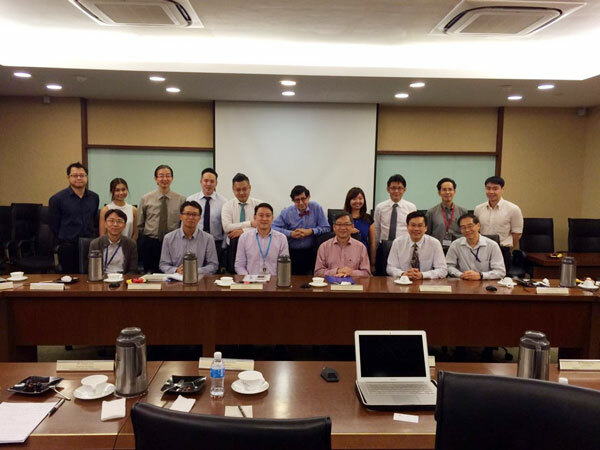 VP: What are the prime objectives of Singapore Optometric Association? – To maintain, promote and protect the visual welfare of the people of Singapore. – To uphold and advance the profession of optometry in the region. Lobbying for a local university optometry degree program. VP: If you have to look back, what are the major contributions of SOA in the past to the optical industry? KLH: SOA has partnered several major players in the optical industry to bring quality continuing education programs to eye care practitioners. Optical industry partner from ophthalmic lenses, contact lenses, pharmaceuticals to advanced diagnostic equipment, have partnered SOA either in periodic CPE (continuing professional education events) or in the annual SOA conference. By raising the standard of eye care and promoting regular update of knowledge of products and services in the domain of optometry, SOA aims to raise the bar of partnership between industry and profession. This will ultimately benefit the public when they receive professional and competent eye care and quality products. VP: With the onset of information available online and online eye testing, people have begun to rely more on technology than an optometrist. As a result, optometrists are beginning to lose their foothold. How do you plan to address this issue? KLH: Technology is helpful but never as a standalone component. Without competency it can lead to more harm than good. Primary eye care is not just letter charts and prescriptions. It encompasses diagnostic, rehabilitative, preventative and educational services as well as the appropriate prescription. Many people can turn to Google or the internet, for eye and medical advice, but when it comes to applying the right diagnosis and management for the individual the optometrist is better placed to do the job. When people realise that eyes and vision are so closely related to health and quality of life, they will appreciate professional services that is of course lacking in many online platforms. VP: What is your opinion about the growing impact of online retailing on optical trade? KLH: Online retailing should carry the same responsibilities and obligations imposed on optometrists since it involves the eyes and vision of people. These obligations include adherence to standards, consumer protection, safeguards to susceptible populations’ (eg. children, diabetics, etc.) eye and vision development. According to the figures from Health Promotion Board, 65% of those aged 12 and below are myopic, and by the time they reach their early 20s about 80% are myopic (based on studies of military conscripts). Compared to Western countries such as Australia and USA about 12% of primary school aged children are myopic, and about 25% of the adult population have myopia. Efforts by the health authorities such as the National Myopia Prevention Program has tried to delay the onset and reduce progression of myopia. The School Health Screening has picked out children with reduced vision so that the school teachers and parents can be alerted. The spectacle subsidy program has enabled several economically disadvantaged young persons to obtain prescription spectacles. Although the rate of uncorrected refractive error in Singapore is low, there is still much more to be done in arresting myopia progression especially in young children. Many optometrists are looking beyond simply myopia correction. In Singapore, we are fortunate to have access to knowledge and resources such as myopia control spectacles and contact lenses to allow our patients a wider choice of not only vision correction but also myopia control. It’s a challenge but we’re working on taking this national epidemic in our daily work as optometrists.